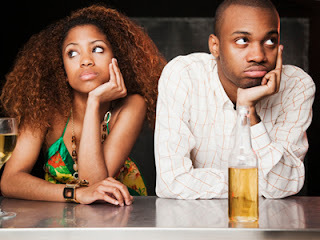 Covenant Relationships: Why is Christian Dating So Diffiicult? On closer observation one would realize these "rules" are not meant to restrict, rather they are to guide you in the path of true love for the other person.The earnest desire for the ultimate eventual good of the recipient of your love.This contrasts sharply with the innate/natural love of self.The love that is geared towards using the other to gratify one's base, immediate urges. Any one on the street can love a girl's body but who can love here entire being? True Christian courtship teaches you to love your woman for who God made her to be. To love her for her.To love her soul, her very being, her personality, her ideals, her take/slant on issues, the way she laughs-in short everything 'bout her even her occasional flaws. One of the greatest joys a woman can have is, knowing her man loves her beyond her physical attributes(which are transient anyway). He loves her total being. Introduce sexual immorality (pouring your lust over her) into this entire equation and it's like deactivating the brakes of a car cruising at 170miles/h.The end is better imagined. 1John5:3 For this is the love of God that we keep His commandments: and His commandments are not grievous. And for a true believer His commandments become innate. On the question of abstinence, sexual abstinence has nothing to do with chastity either. At best abstinence could be included in the concept of “decency,” resulting from discipline, education or self-control. True chastity is purity of thought, but in all things right down to everyday business. Chastity is a purely spiritual and not a physical quality. it's a beautiful thing to be in a relationship with all the right values and attitudes. And I believe that " Christian Dating " offers an excellent platform for developing the right mindset which would prove invaluable in marriage and family life when practiced with some of the points he's outlined. Do not subscribe to the school of thought that believe Christian dating is all about don'ts. If you study the scriptures thoroughly (as you should), you'll discover there're far more "dos" e.g. "Love one another sincerely", "Speak the truth in love", "Esteem the other more highly than yourself", "Be kindly affectionate to one another". . .the list is inexhaustible.